Learning to cycle is easy with the 16" Annabelle. Not only can you join in the family fun but your doll can too as this gorgeous bike comes with a with a rear doll carrier. This bike has a pink and purple frame as well as tassels on the front handlebars. 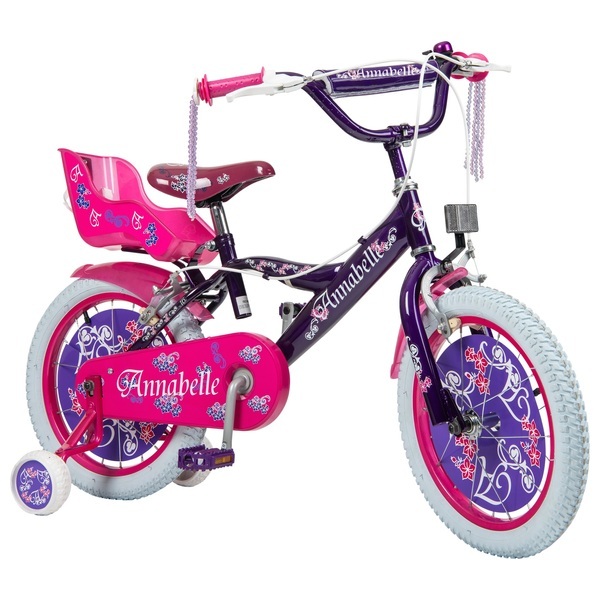 Your child will be sure to feel like a princess on the 16" Annabelle.